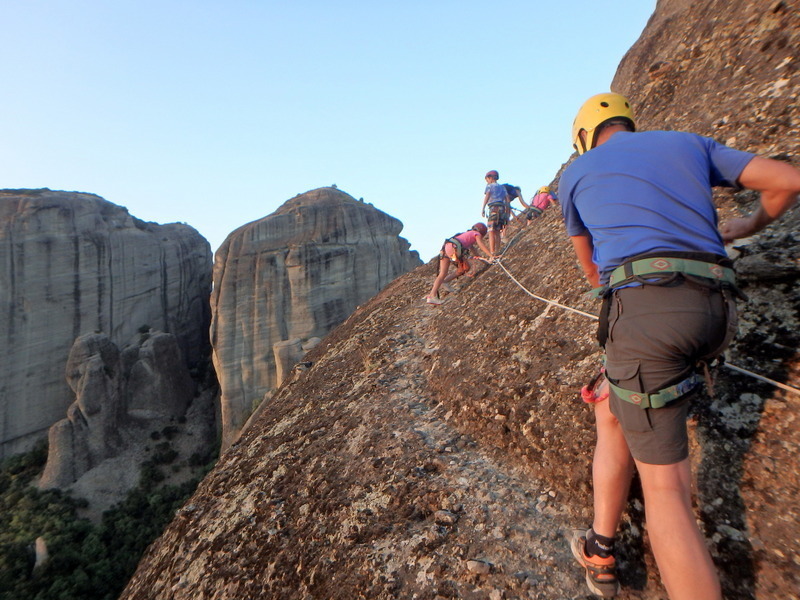 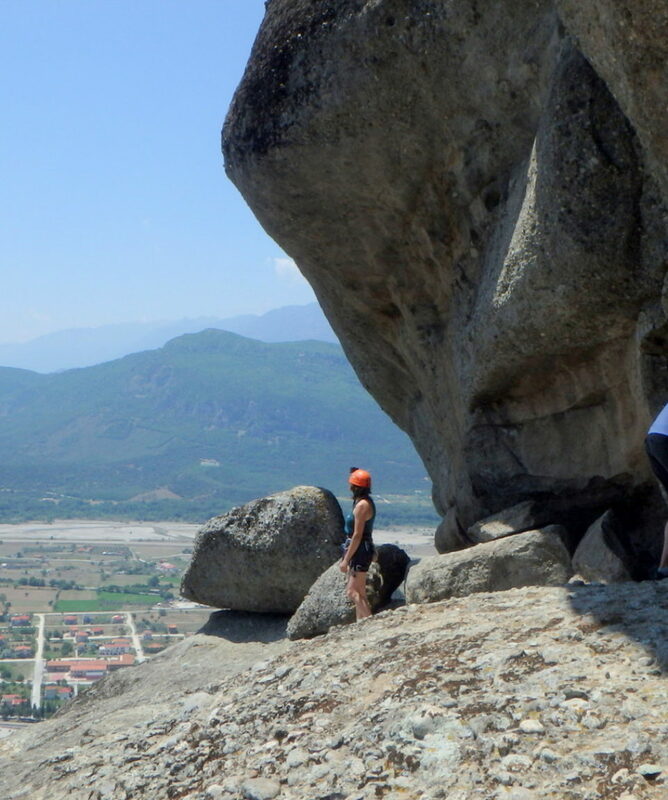 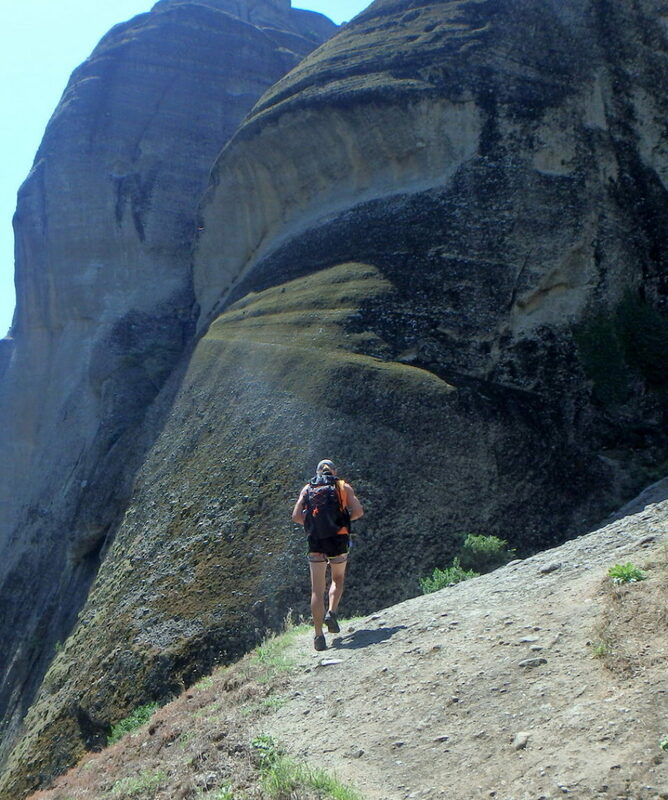 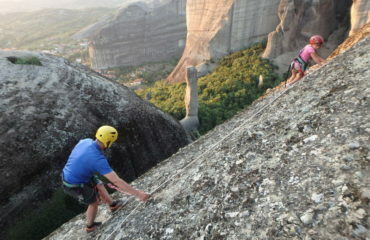 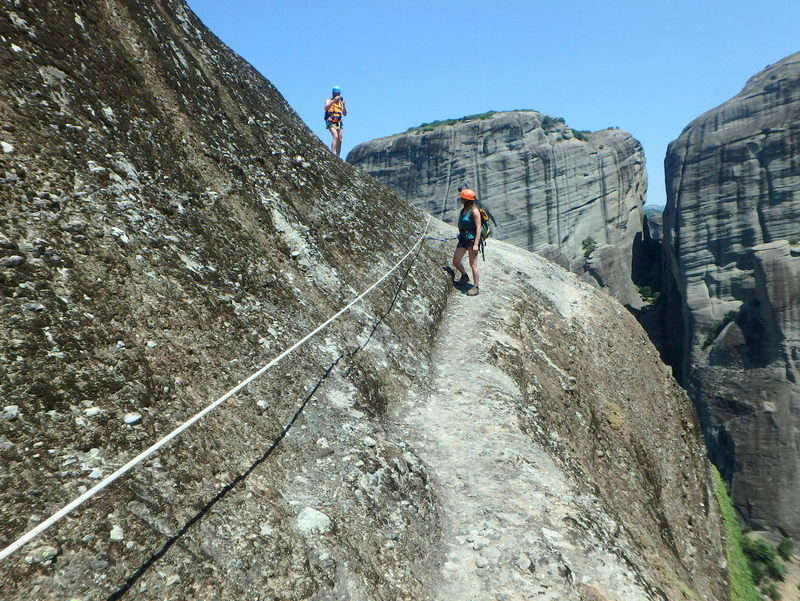 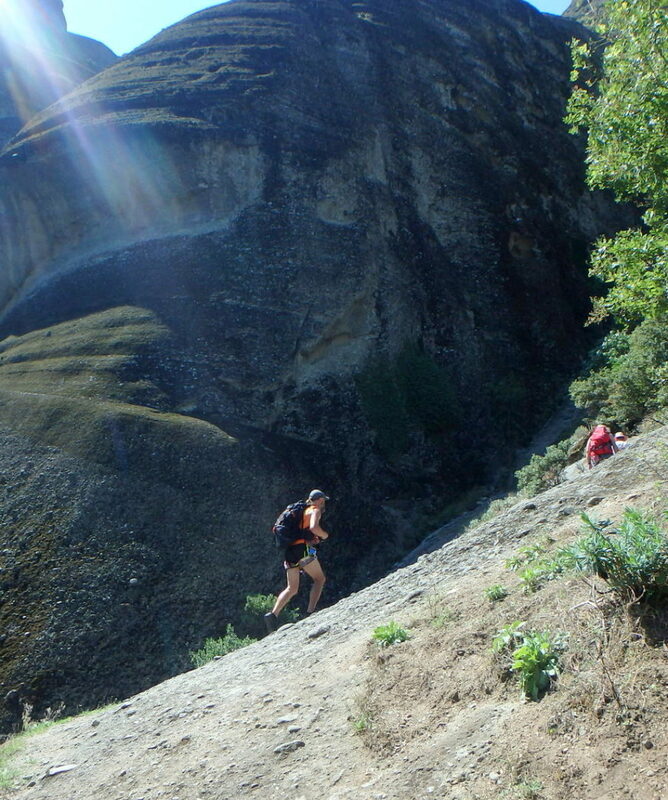 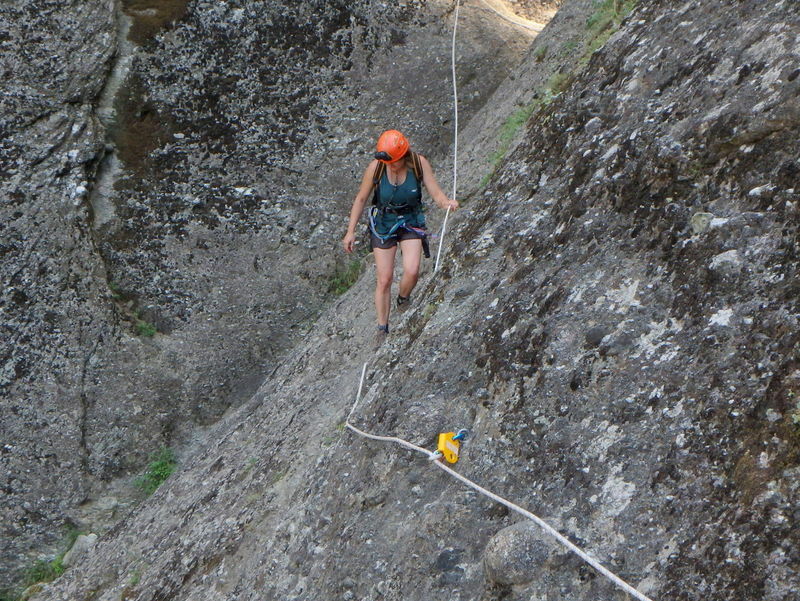 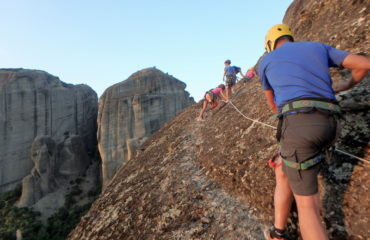 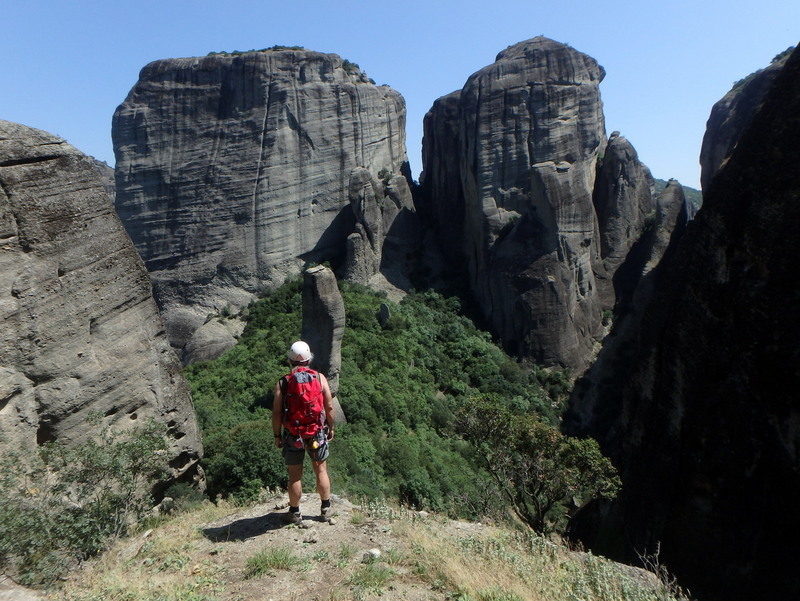 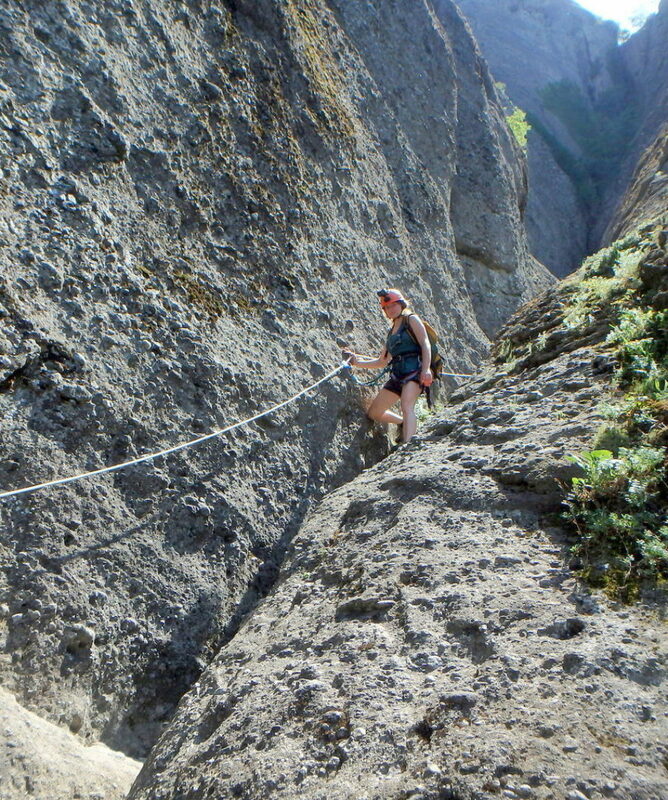 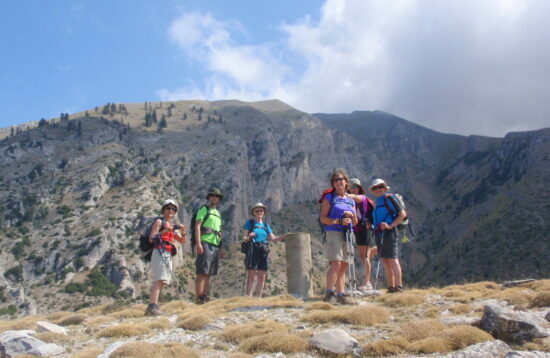 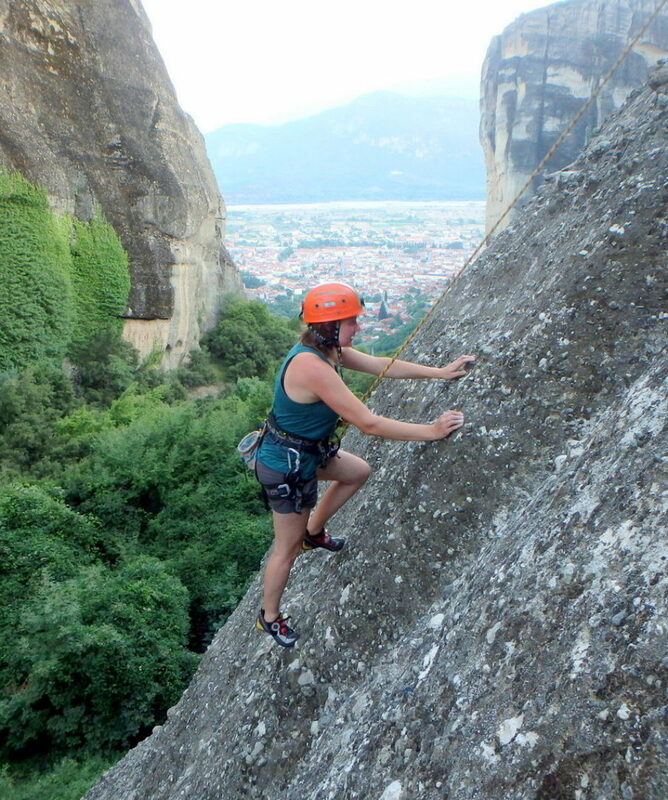 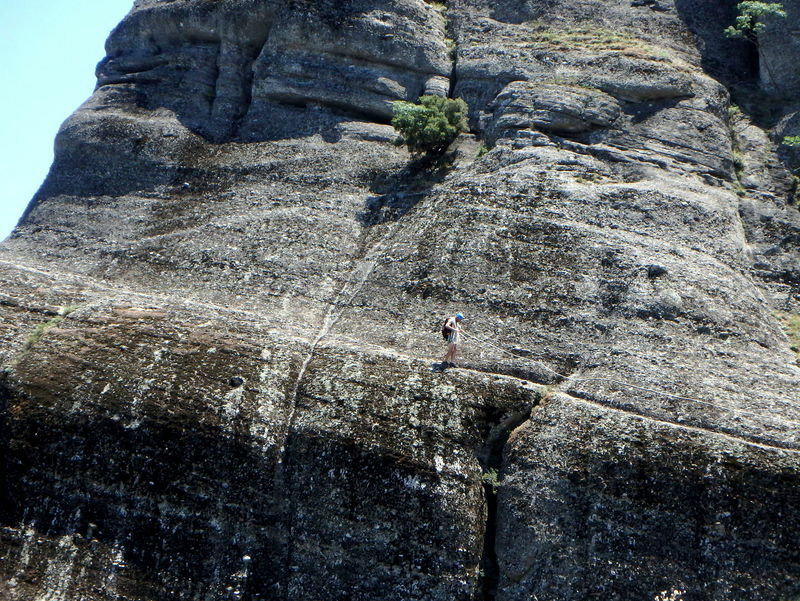 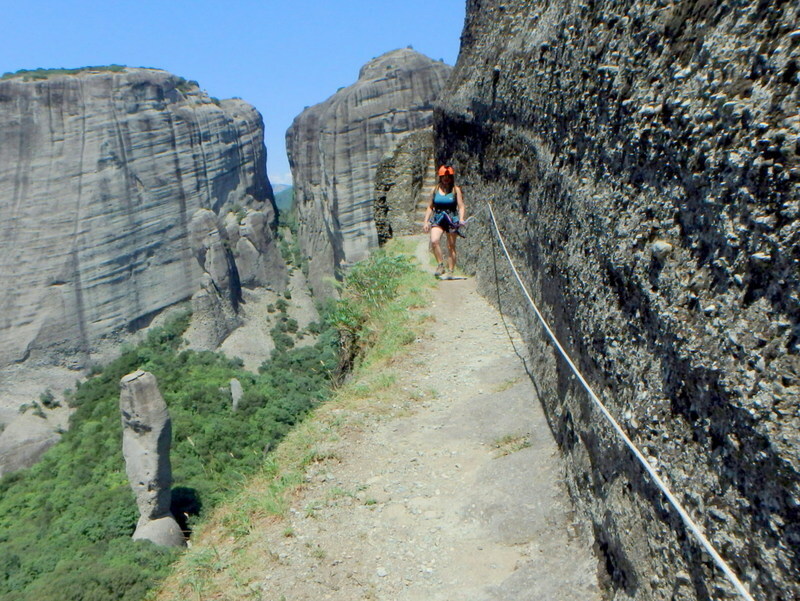 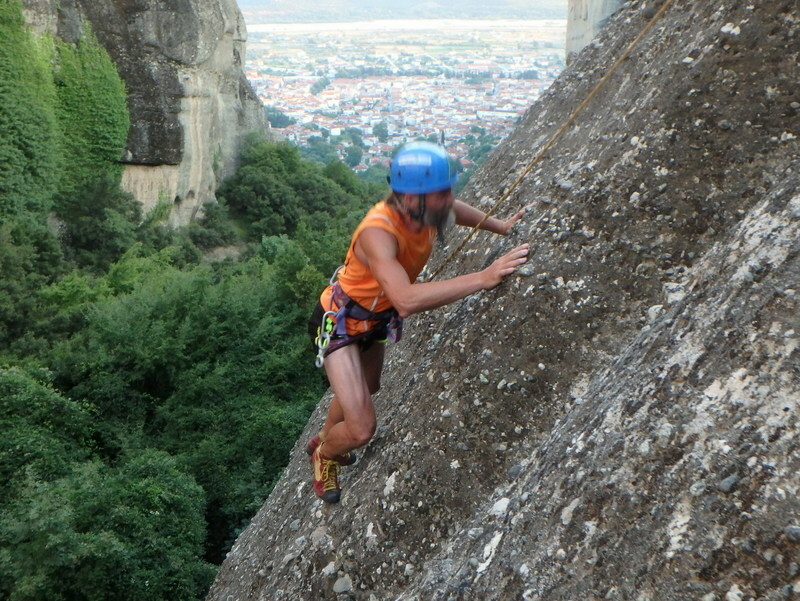 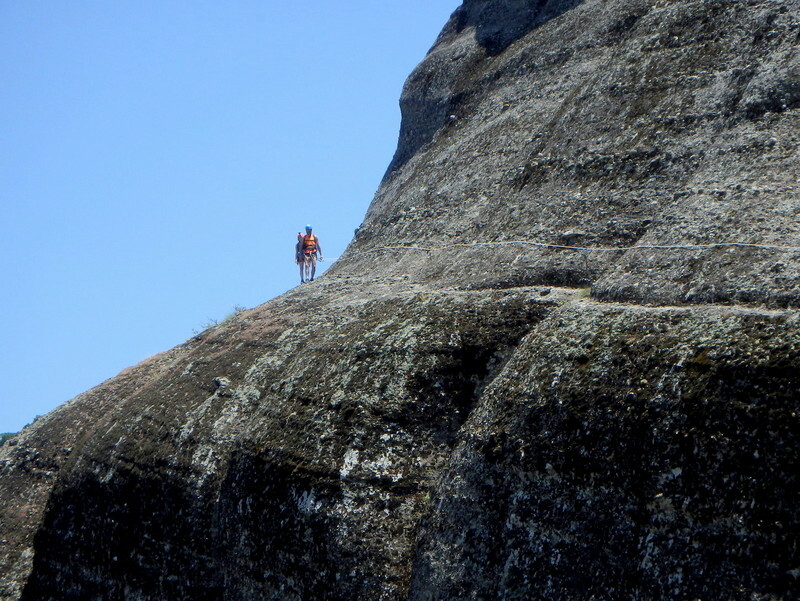 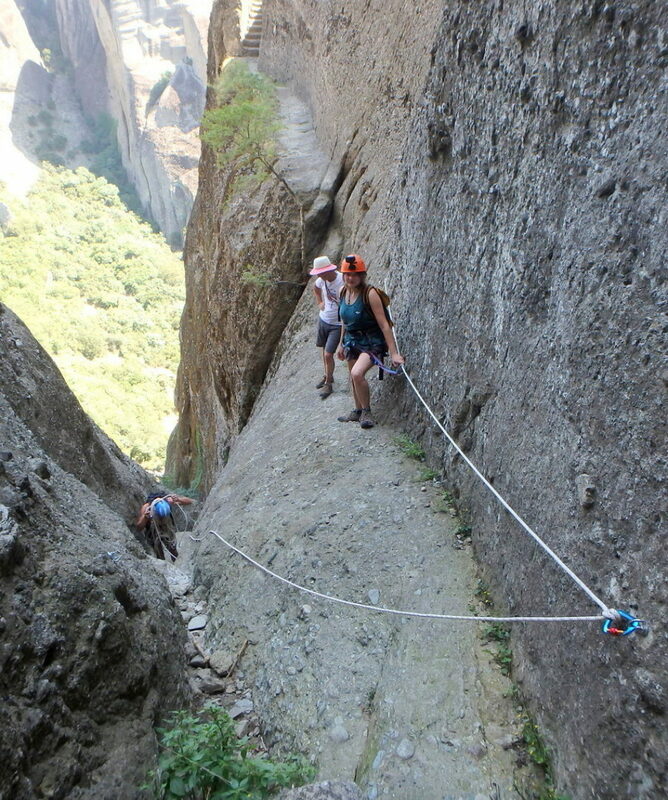 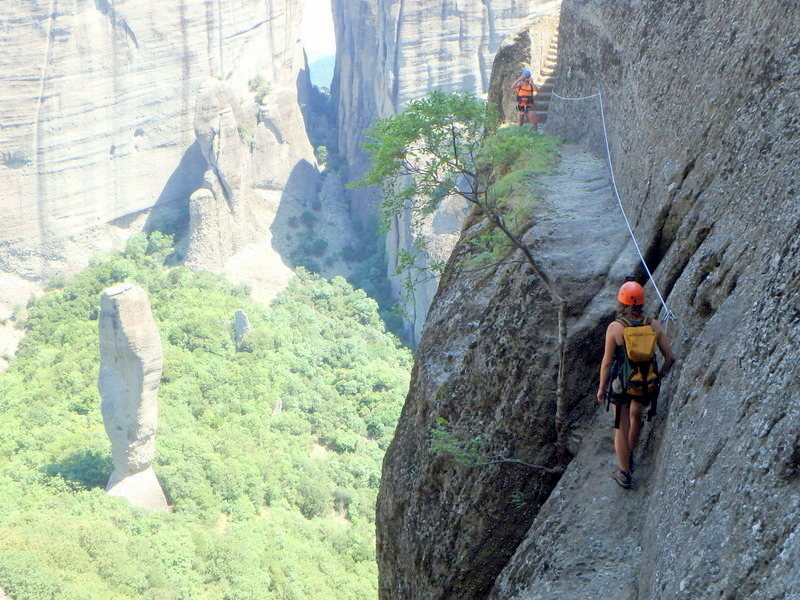 Hiking & Via Cordata or Rock climbing in Meteora. 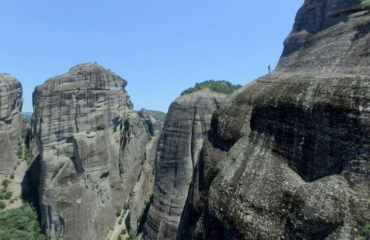 Meteora! 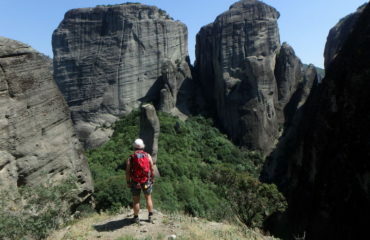 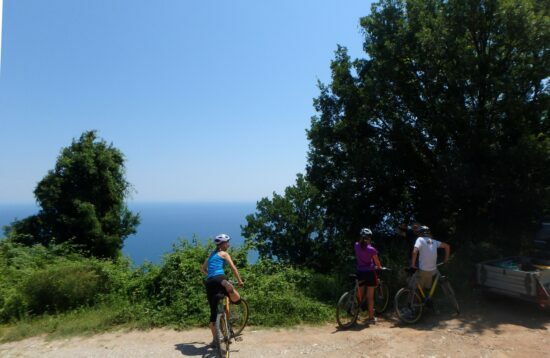 A nature’s wonder at the western end of the Thessalian plain! 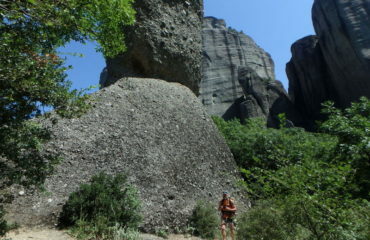 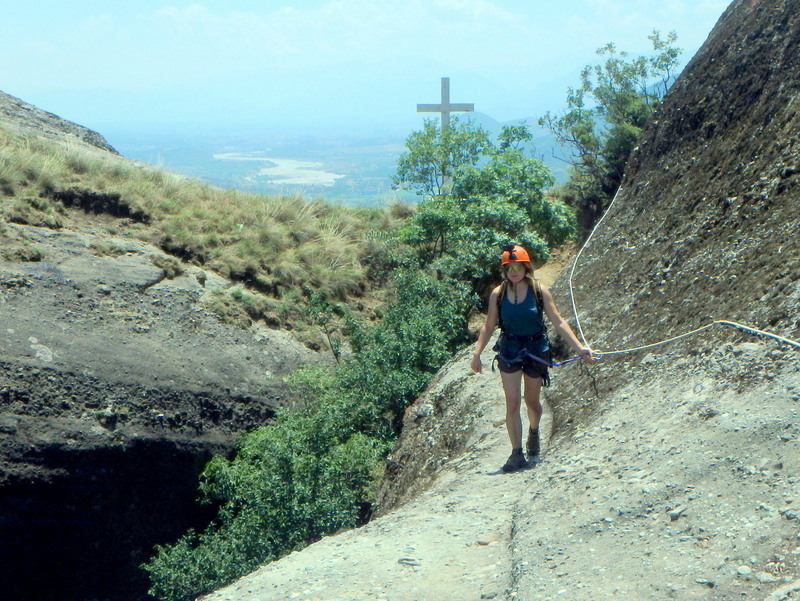 A religion’s stronghold as well as a rock climbers’ paradise! 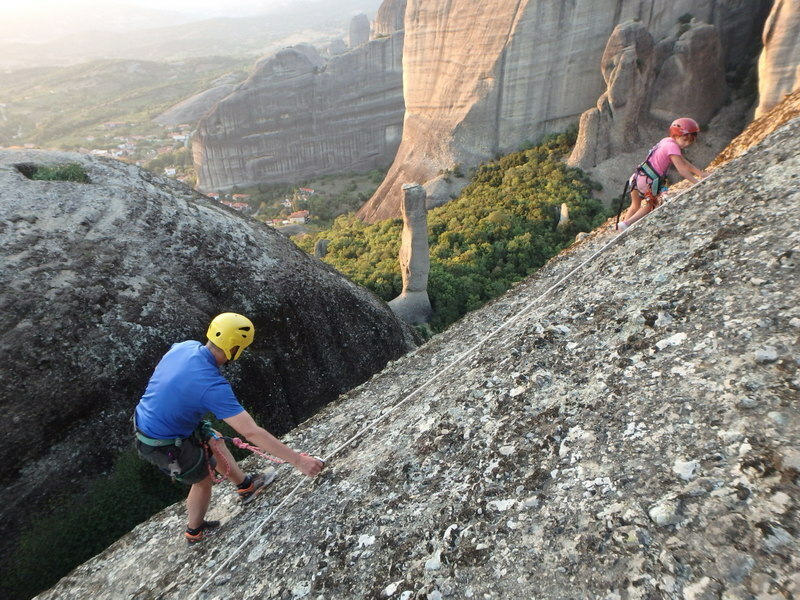 Tradition, Byzantine architecture, theocracy and solitarily as well as a unique geological phenomenon and great rock climbing attraction internationally. 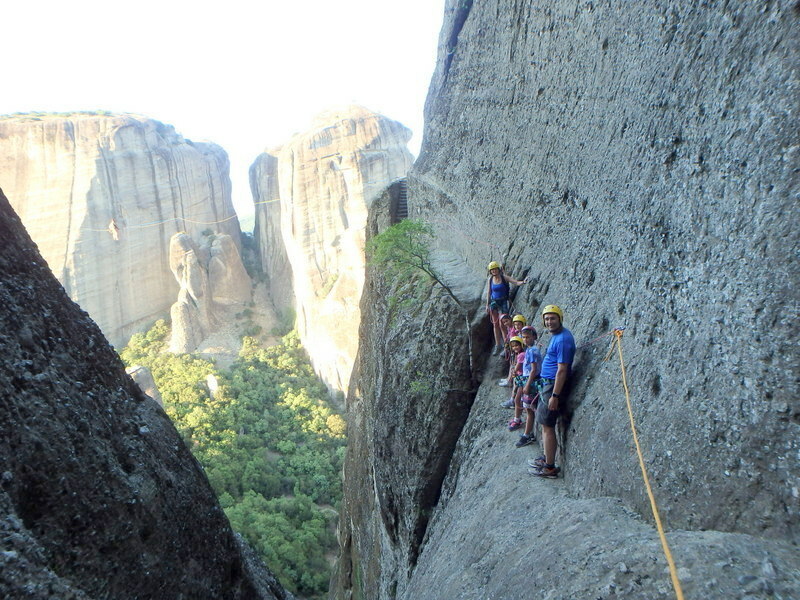 All in one place! 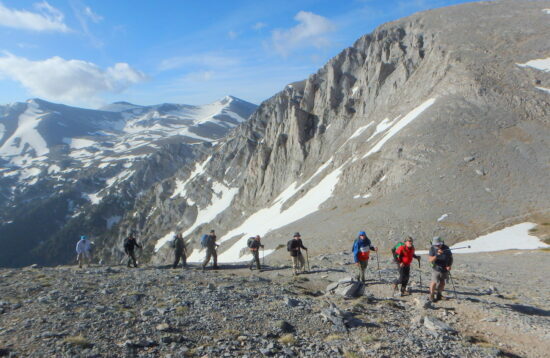 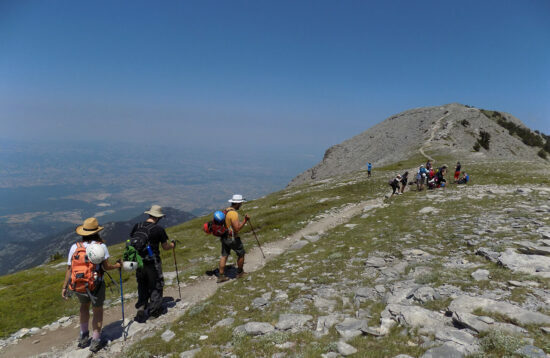 After the completion of the actual hiking route, we continue on foot to the Great Saint area where we gear up for the Via Cordata experience. 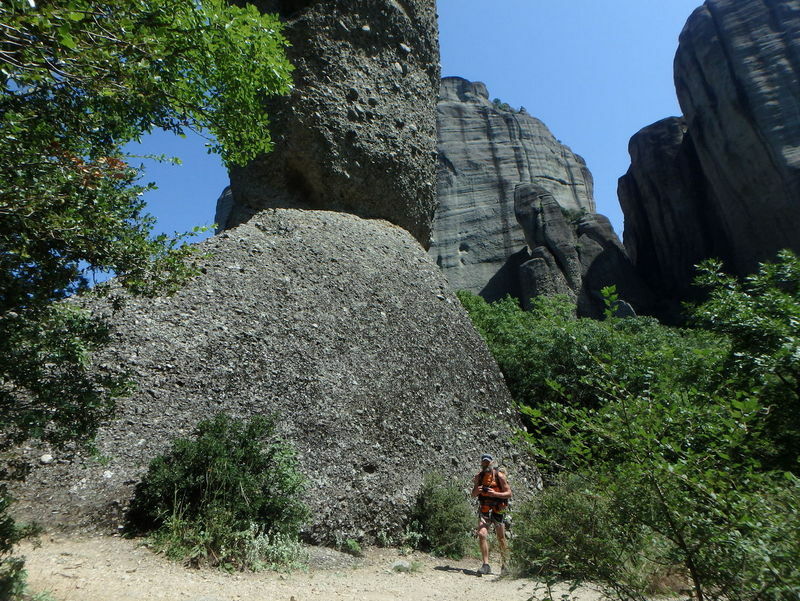 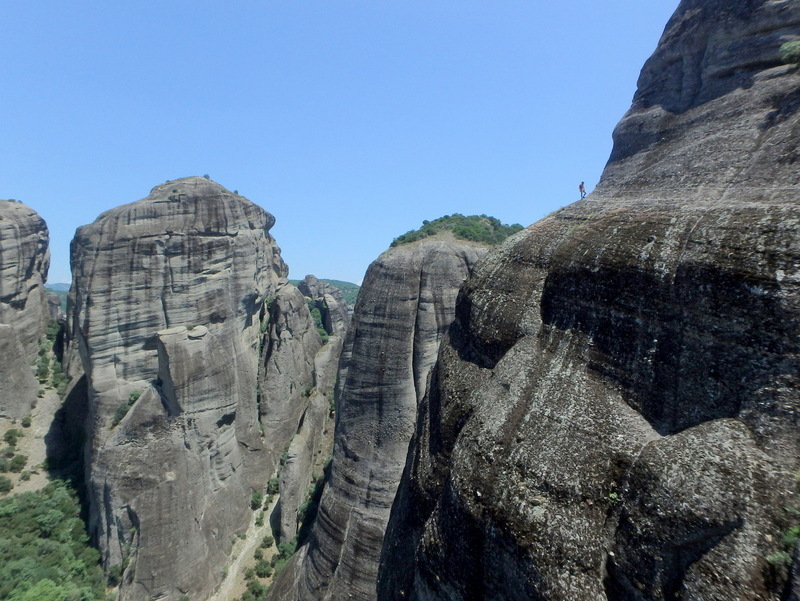 This is a scramble through the huge sandstone Meteora rocks and exposed walk on a very old path, carved in the rock, to reach a beyond words eagle’s viewpoint, high above the town of Kalambaka! 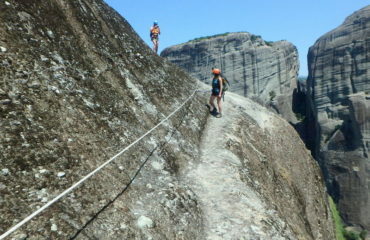 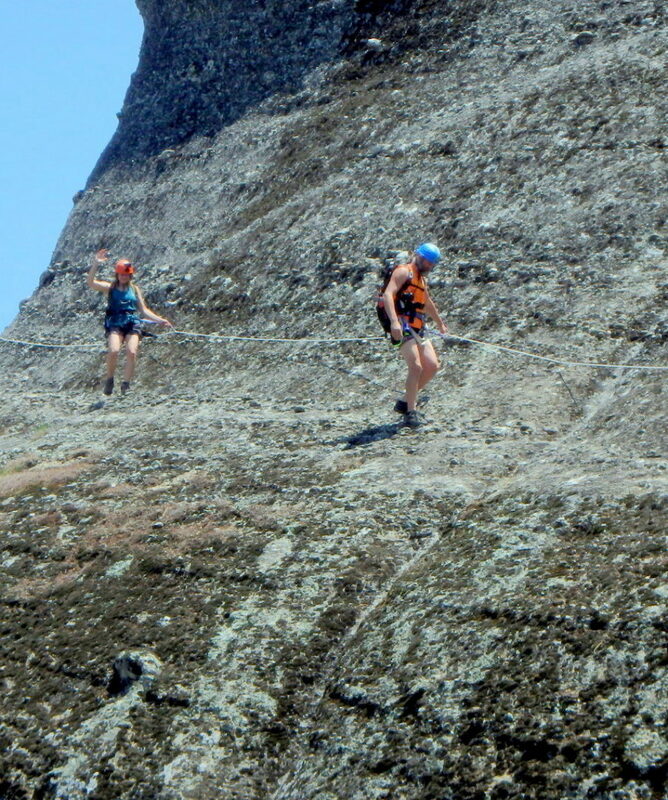 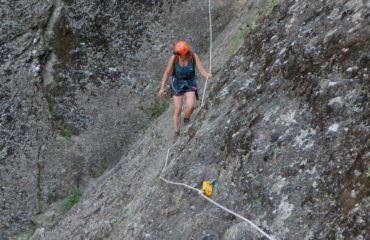 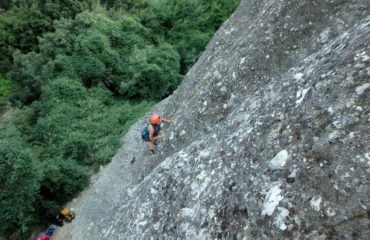 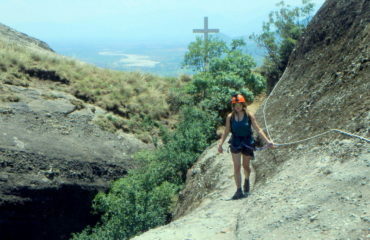 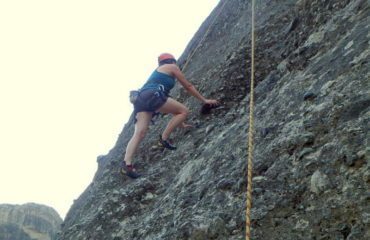 Then an abseil takes us down to the return path. 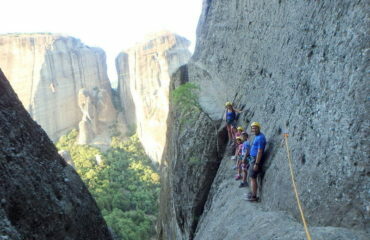 In between the two activities, we will have a picnic lunch. 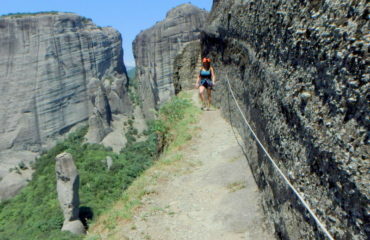 Altitude covered, 200m up and the same down. 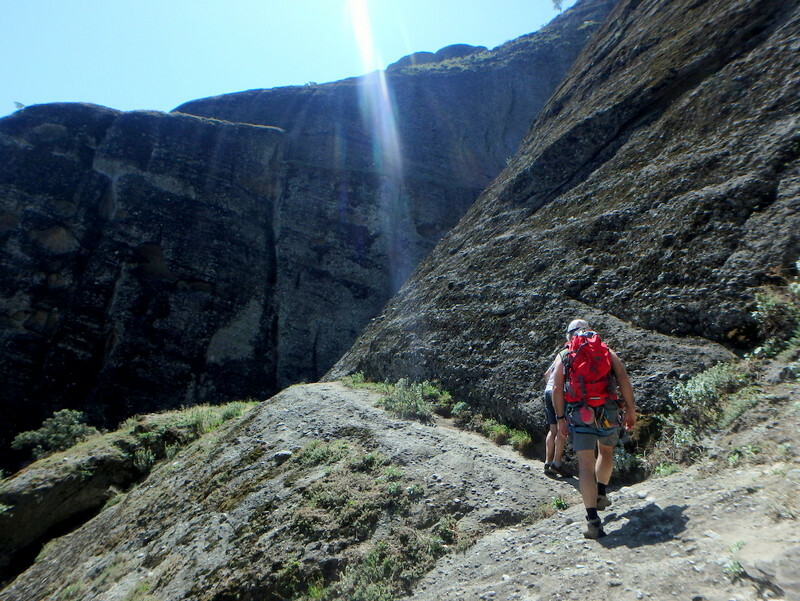 Approximate net walking time 2.30’ hours easy / moderate and Via Cordata time, another 2.30’ hours. 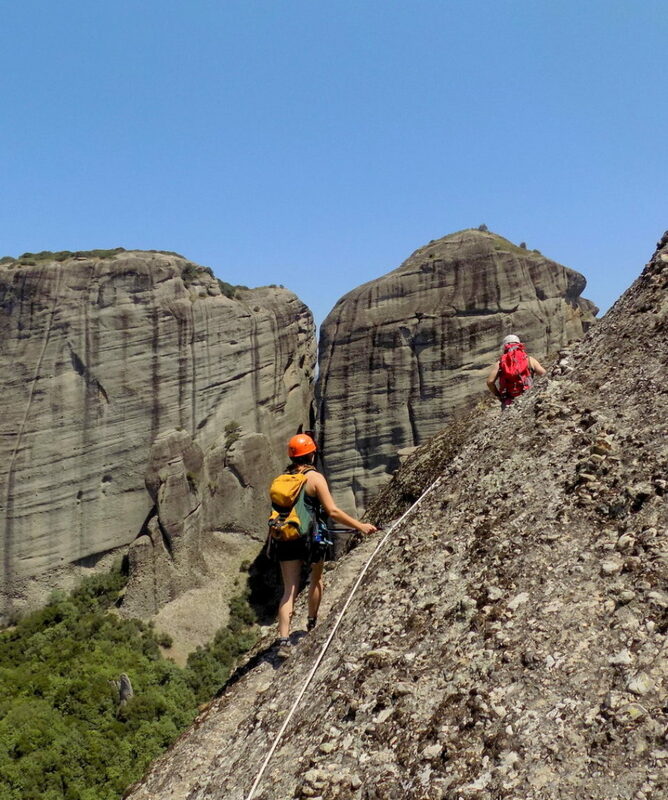 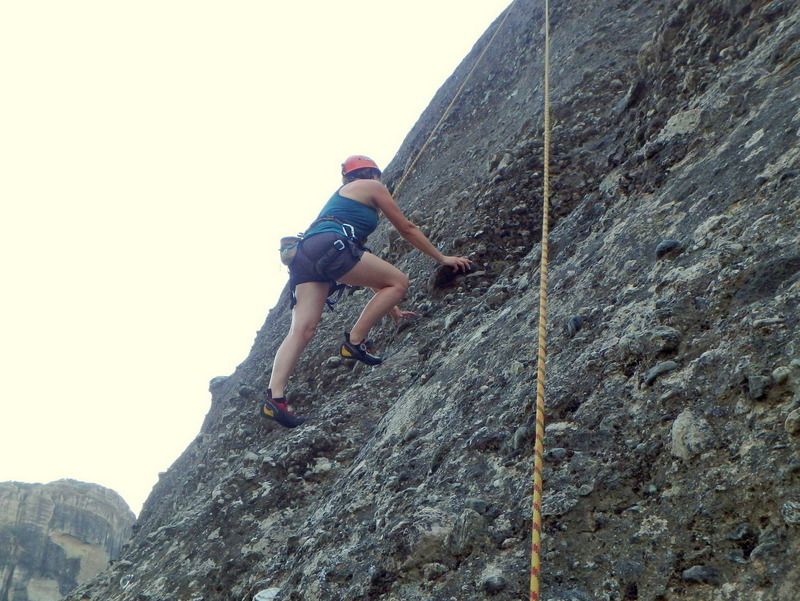 As another option, the hiking can be combined with rock climbing instead of the Via Cordata, for the ones who would like to have a taste of top rope climbing on this peculiar conglomerate sandstone rock! 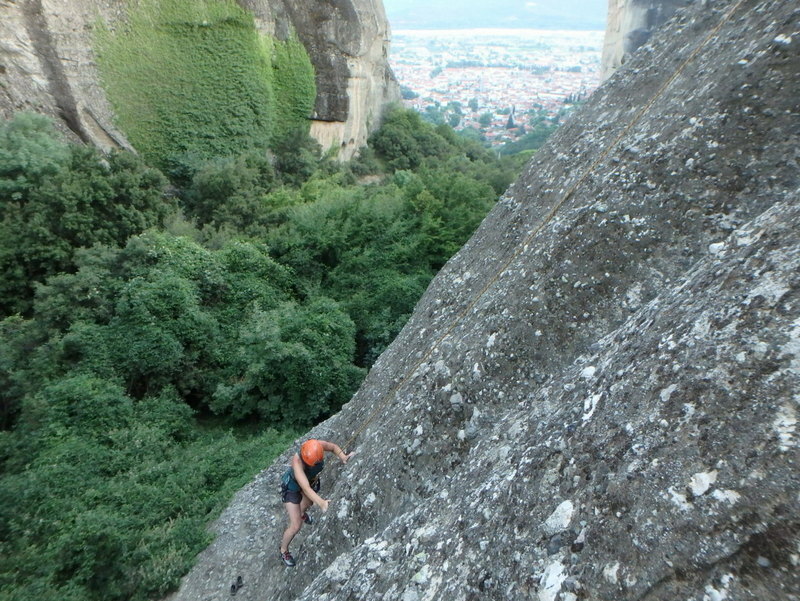 After all, this is an internationally-known rock climbing site! 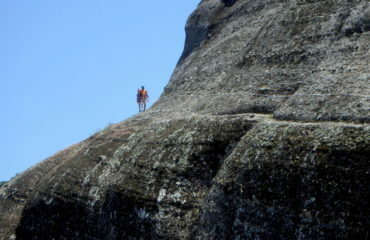 It is quite an experience! 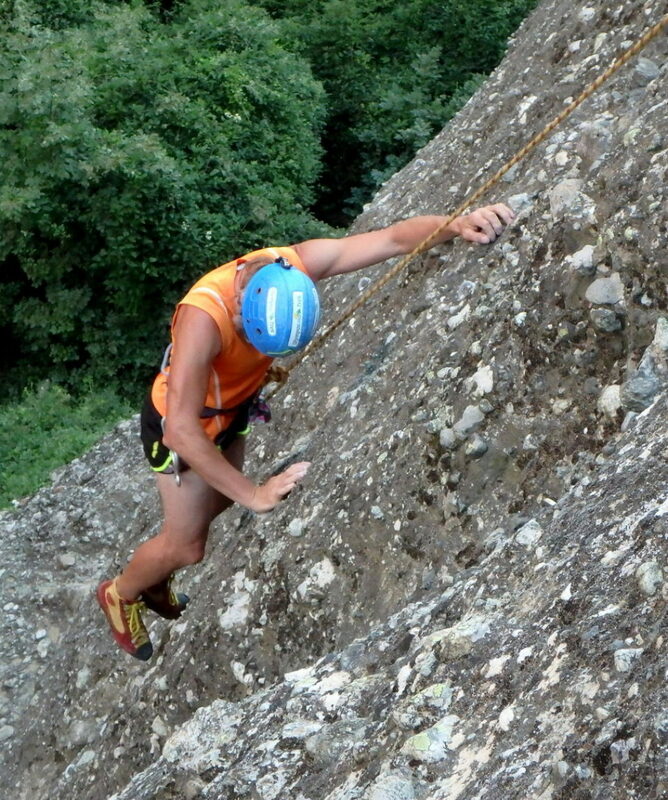 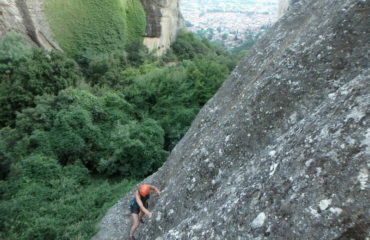 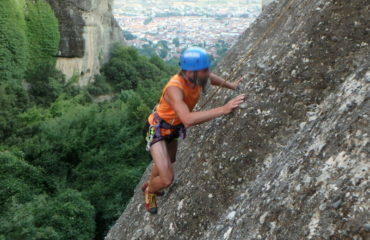 The rock climbing session takes from 3.00’ to 3.30’ hours. 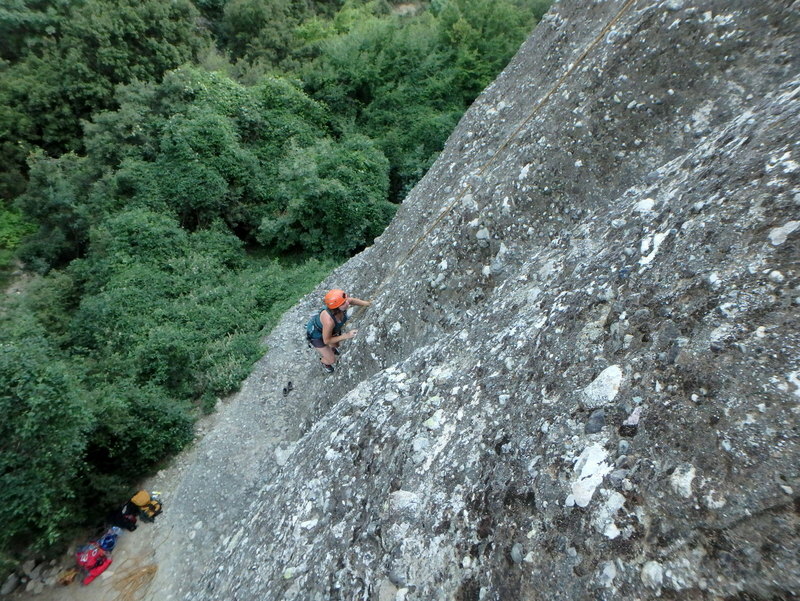 Total activity’s duration: From the time we meet to the “ready to go home” time, 6.30′ to 7.00′ hours. 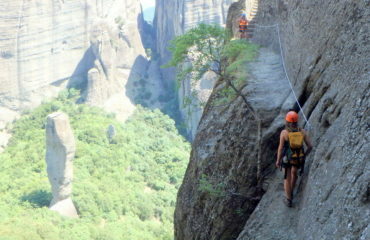 85.00 Euros p.p. 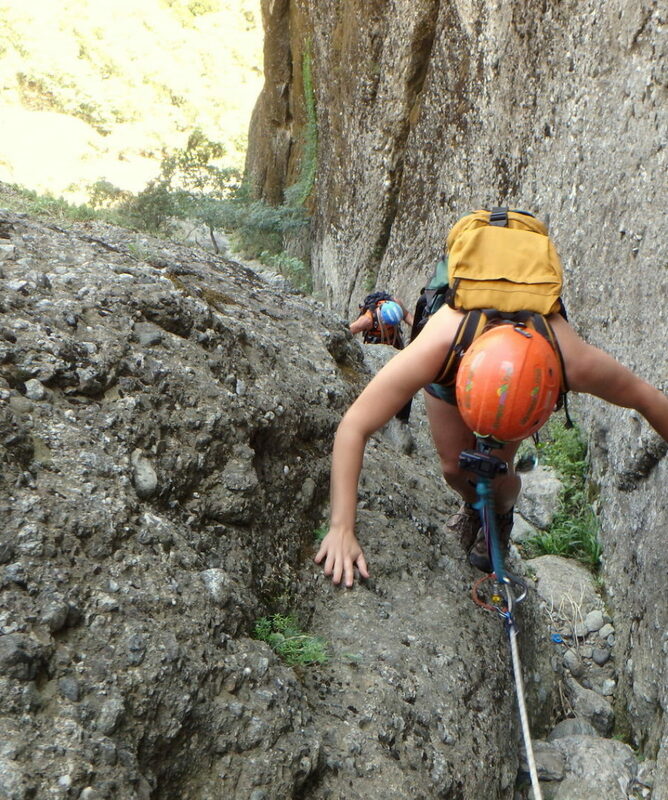 for the Hiking & the Rock climbing. 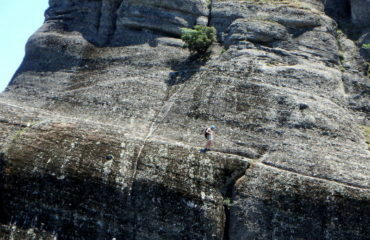 95.00 Euros p.p. 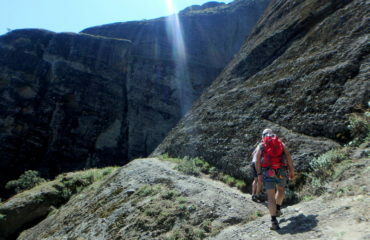 for the Hiking & the Via Cordata.